The Book Chook: Let's Celebrate Fairy Tale Day! Let's Celebrate Fairy Tale Day! Once upon a time, there was: a book chook who loved to celebrate! According to the internet, February 26 is National Fairy Tale Day, or Tell a Fairy Tale Day in the USA. I'm hereby proclaiming it Fairy Tale Day all over the world. Why? Because fairy tales are so worth celebrating, that's why! Previously, I discussed fairy tales in Fairy Tales Online and a Fairy Tale Party, and Introducing Kids to Fairy Tales Online. Albert Einstein is supposed to have said, "If you want your children to be intelligent, read them fairy tales. If you want them to be more intelligent, read them more fairy tales." Whether or not he was right about IQ, today I want to suggest some fun activities parents and teachers can share with kids to encourage the development of literacy skills through fairy tales. Be sure to read to the end, where I mention a free downloadable PDF I created for kids. Find even more fairy tale activities inside to involve them in reading, writing and creating. There's also a bonus worksheet. What a wonderful day February 26 would be to read some fairy tales together! Try to find Yummy by Lucy Cousins. 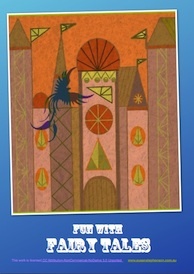 (My review) You can also read many fairy tales online at Storynory. Watch episodes of Jack and the Beanstalk from BBC with your kids. Children can also learn the accompanying songs. This would make an excellent model for a class play or school musical. I hope you'll link through to watch Clara Tale, a short original fairy tale narrated and performed by kids. It may just inspire your own kids to make a movie! Here's a fabulous library display idea you could use. Watch some fairy tale videos at Watch Know Learn. Can kids find some books to match at your local or school library? Listen to some classic fairy tales with your kids, downloadable from Children's Records (downloadable as mp3s). Make a list of the ones you like, and try to find them as books or e-books. Find more fairy tales at CBeebies. Download fairy tale story telling dice from Teacher's Pet Displays. Print, make up and roll the dice to create your own fairy tales. Listen to the audio story of The Three Little Pigs and read along with the transcript at Light Up Your Brain. Read slides of the story of Goldilocks and the Three Bears. Hear audio of their voices. 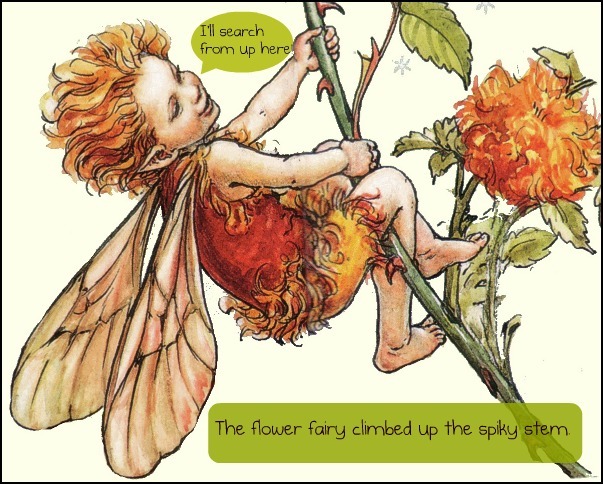 Find Fairy Story and Traditional Tale Resources from Primary Resources UK. Zoe at Playing by the Book shares a wonderful Cinderella book and some extra resources. 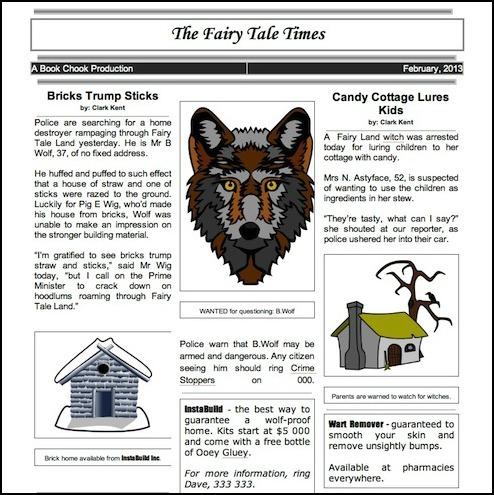 Create your own Fairy Tale Times newspaper with kids. This could be such fun! Search for "newspaper template" at Google Docs to get started. And here's an editable PowerPoint newspaper template. You could also use a Word Processing program like Word or Pages, or even write and paste straight onto paper. I've included an image of my own editing of a Google doc: Elementary Student Newspaper Template Page below to give you an example. Teachers can find a Fairy Tale RAFT and Tic Tac Toe Board in Make Writing Fun for Kids - Guest Post. 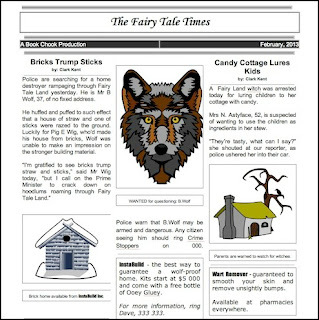 The Literacy Shed has some really different fairy tales with great follow-up activities. The videos are carefully selected and would be good to use with older kids. Explore sites like Creaza's Cartoonist and Storybird with kids and help them find artwork suitable for retelling a known fairy tale or inventing a new one. Below is one I created called Princess Sophie. Search for a fairy tale that children like at World of Tales. They also have some older animated fairy tales but the picture quality isn't great. Read along with and watch fairy tales at Speakaboos. Storynory has fairy tales that we can listen to, download and read. With teens, take a look at Sur la Lune, where you'll find many of the original fairy tales. One Extra Pixel has a wonderful post featuring illustrators interpretations of fairy tales. These are excellent images to share with kids for discussion, or to use as prompts for storytelling or writing. Have you thought of making a shadow puppet theatre and shadow puppets with kids? Download some props like masks, backgrounds and stick puppets for stories like Sleeping Beauty, Hansel and Gretel etc. Brilliant free resources at this website! For more inspiration on shadow puppetry, take a look at the excerpt below from Lotte Reiniger's The Adventures of Prince Achmed from 1926. And here is Reiniger's Cinderella. 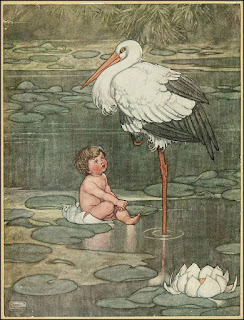 Find fairy tale clip art or suitable pictures that are free to use, or create your own. Have children add captions to the images to show what characters are thinking and saying. Some public domain images are ideal for this activity. Search Wikimedia Commons to find images like the one at top. 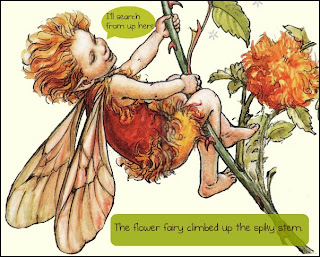 Or sites like Arthur's Clipart, where I sourced the fairy image below. Can your kids combine images into a slideshow to tell a story? Sites like PhotoPeach are great for this. Looking for many more ideas? For the pictured free PDF, Fun with Fairy Tales, with bonus worksheet, visit the Free PDF's and Resources Page at my website, www.susanstephenson.com.au. Check out my suggestions on Fractured Fairy Tales Monday 25 February! How did I not know about Fairy Tale Day! I love that idea! Thanks for sharing your post at The Children's Bookshelf. @Erica MomandKiddo I love to find the lesser known special days and sneak a little learning into them! What a creative post, Susan. Thanks for sharing this with this month's Carnival of Children's Literature. I will have to steal some of these great ideas and try them out!